Now that Avengers: Infinity War‘s opening weekend has come and gone, it’s important we not forget that Marvel Studios have one more offering arriving in 2018, that being Ant-Man and the Wasp. And though the latter probably won’t smash box office records like the former, it’s probably safe to say that it’ll still sell more than a few tickets. Of course, what’ll be key to the success of those incredible shrinking heroes is that of word of mouth, for it’ll play a remarkable factor in determining just how leggy their theatrical run will be. Naturally, the first thing instrumental in getting the ball rolling is that of some smart marketing, which should be picking up generously within the next few months. Speaking of which, the studio is starting to debut a variety of posters, the latest example coming to us by way of actress Evangeline Lilly, who was kind enough to share this stunning piece on her Instagram page and tide us over in anticipation of the next trailer, which is set to launch tomorrow. As you can see, this particular eye-catcher somewhat conforms to previous one-sheets we’ve been treated to by Marvel Studios, yet it offers something quite fresh. I mean, not only is the graphic design quite aesthetically pleasing, but we see Lilly standing tall amongst an impressive cast that includes the likes of Paul Rudd, Michael Douglas and the MCU’s latest superstar acquisition, Laurence Fishburne. 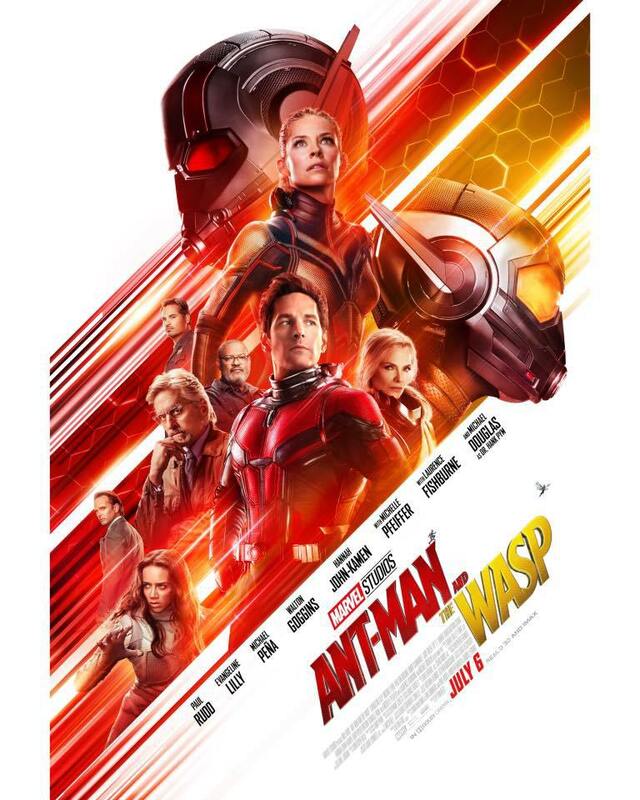 Ant-Man and the Wasp is expected to take flight on July 6th, and all signs point to a deep dive into the Quantum Realm to locate and potentially rescue the long-lost Janet Van Dyne (Michelle Pfeiffer), who was once known as the original Wasp before her daughter, Hope (Evangeline Lilly), got her wings three years ago.